For sheet- and medium steelwork. For medium to heavy steelwork. 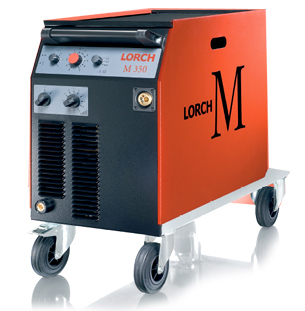 The M. 100% Lorch-Quality – Made in Germany. 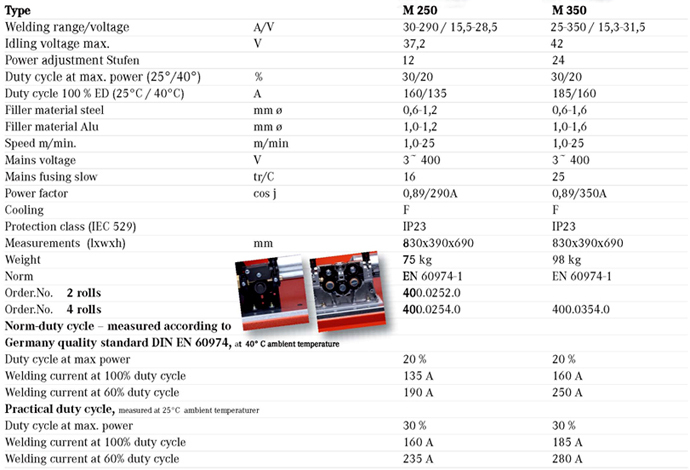 M 250 and M 350 are probably for MIG-MAG welders the devices, which are simply to work well with. A maximum of 3 adjustments and you already weld high class workmanship. The M bears all our experience and is at your side for years and decades, technically high-quality and sturdily. Promised. M – as in Made in Germany. 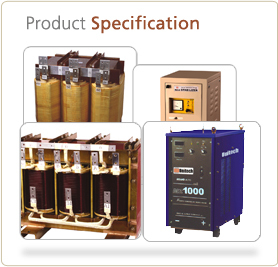 High-quality 50 Hz-transformer-technology, convincing arc characteristics, high-quality processor technology, overload-secured electric rectifier and quality wire feeder. Only best components are demanded if genuine welders go to the work. Perfectly supported by the practice-proven construction and finely coordinated 12 or 24 performance levels of the M, simply resulting in a better welding seam. And everything necessary is on board: 2-stroke, 4-stroke, spot- and intervall welding. With its ergonomically and sturdily design the M facilitates your everyday life and makes it more safe by many apparent significant details - like the adjustable wire role brake, a large tray surface or a double gas bottle protection. M as in simply More.